I’m training for my first marathon this summer. What are your thoughts on the best way to carry fluid? You’re wise to plan ahead. Hydration and proper fueling are key to successful training, and finding a comfortable strategy will help you complete your long runs. These days, there are a variety of ways to carry (or not have to carry) your fluids. Here are some of my go-to products and methods. Experiment to find what works best for you. Pros: Belts allow for hands-free running, accommodate a variety of fluids (so you can put water in some and sports drinks in the others), and include two to four eight- or 10-ounce bottles. There is an extra pocket to store fuel and keys. It is sized and made of flexible material for comfort and easier breathing. The weight is well balanced over your hips, which provides a more stable load on your body (versus when you’re carrying a bottle). Cons: Some runners are uncomfortable carrying anything on their waists. The belt can move if it doesn’t fit well - make sure to buy tight, as the weight of the fluid will pull it down. It takes more time to refill multiple bottles. Although you can carry more at a time with a belt, you still need to plan to refill on the longest training runs. Pros: Hydration packs are the way to go if you want to run for hours and not worry about refilling. They commonly include 1.5- to two-litre bladders (50 to 70 ounces) and several easy-access pockets for on-the-run fuelling. 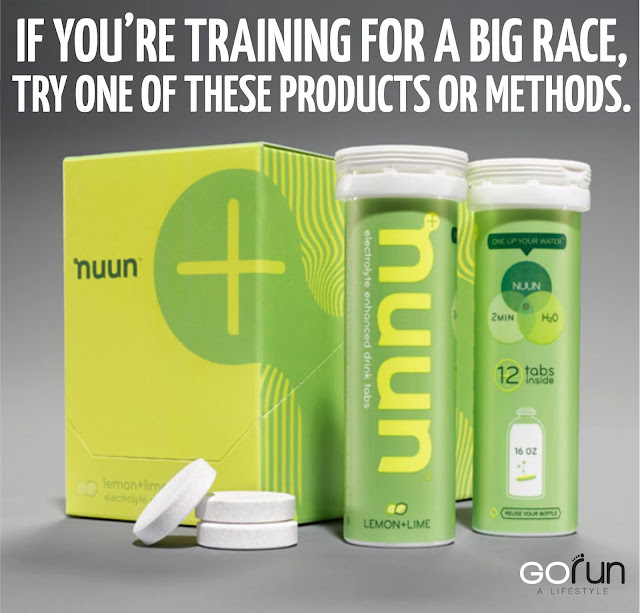 They offer a bounce-free, hands-free, ergonomic way to carry your fluid and fuel during long training runs. It is a comfortable alternative for those who don't like wearing belts or carrying bottles. Cons: Two litres of fluid alone weighs in at 4.4 pounds - the weight of the pack will cause you to expend more energy per mile. Because there is space in the pack, there is a risk to carry too many items, which can add more needless weight. Using a bladder can make it more difficult to gauge how much fluid you’re consuming because it’s out of sight. Cons: If the fountains aren't working or the stores are closed, you’re stuck without fluids. Stopping to buy something might delay your run longer than other methods, and the store may not carry (or may be out of) your favorite fuel.